Hello one and all! How are you today. I have been thinking of all kinds of subject matters for our little 25 series and today the thought of natural elements came to mind..so here’s a little pops of Nature to brighten up your day! 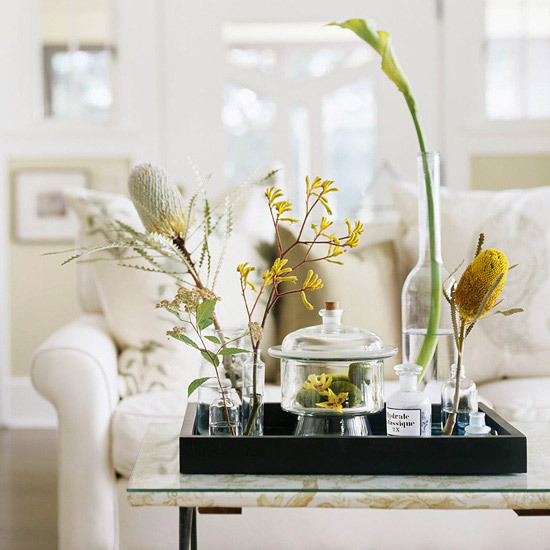 have some outstanding ideas…here is one that I simply love. 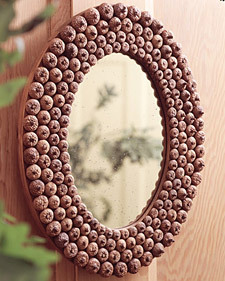 Simply natural beauties shine through and create something extra ordinary! 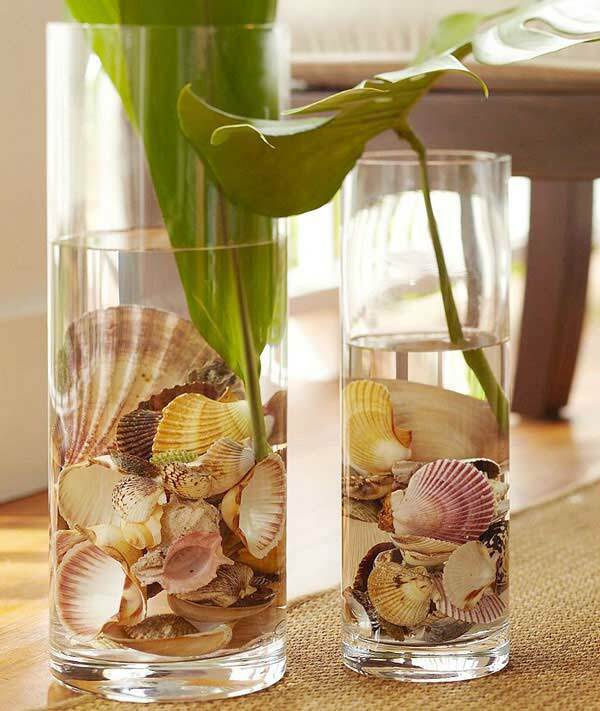 By submersing the shells in water…there is instant drama…once again so simple and so much impact. Check out the other ideas over there…they are wonderful. 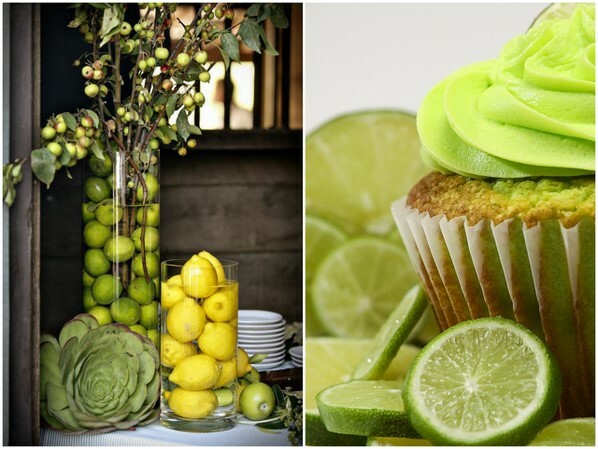 As a center piece of decorating your baked goods presentation…create a tangy visual. 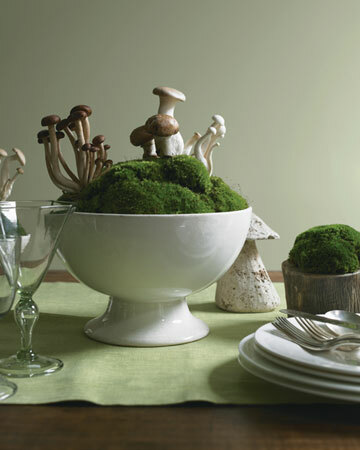 they also give many ideas on how to create a natural centerpiece and decorations…check out this blog for some amazing ideas! 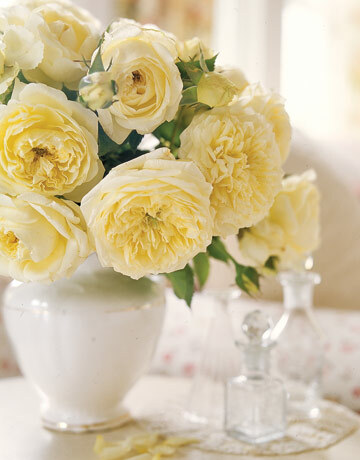 hope you have fun at this beautiful blog…so fresh and fun! 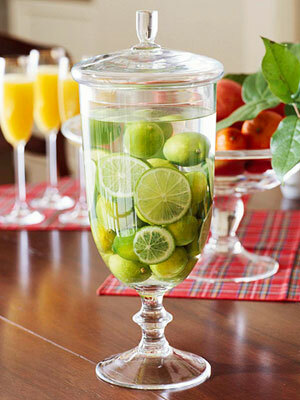 This is stunning…submersed limes…whole and slice in water…who wouldn’t want this on their table! 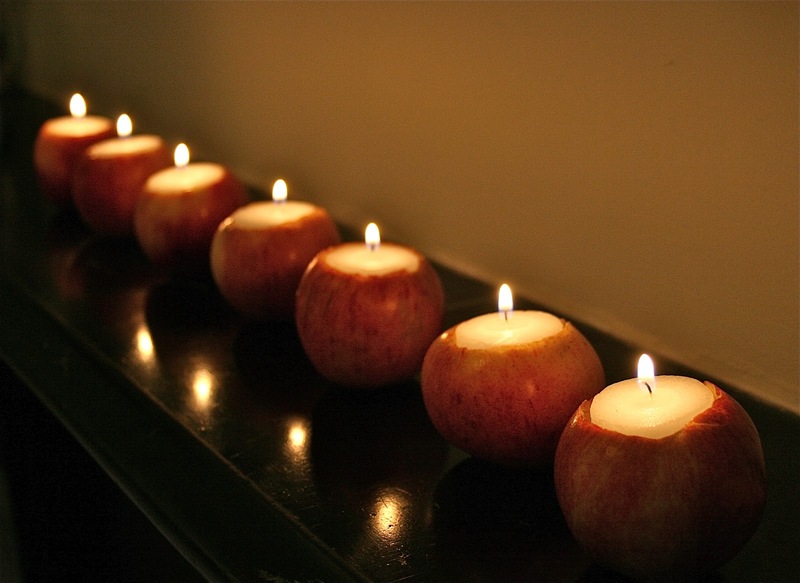 gives us a little reminder that Fall is on the way…this simple line of apples kissed with tea lights is brilliant. takes one of my favorite veggies in the world and has them BLOOM…I love this! 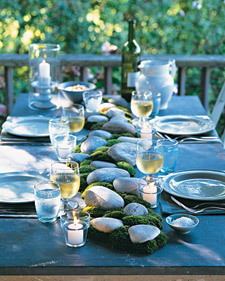 keeps the Summer alive with some excellent beachy ideas! 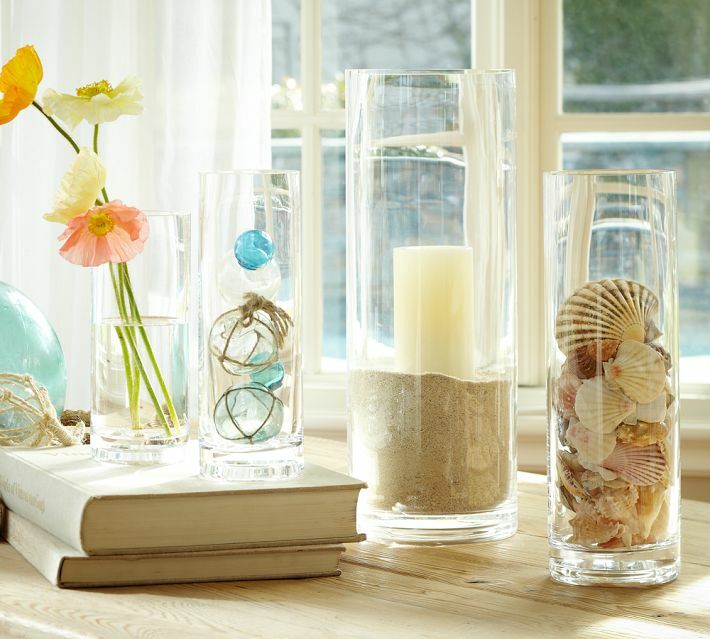 Sand…shells…water…flowers and more…I can hear the waves crashing on the shore. 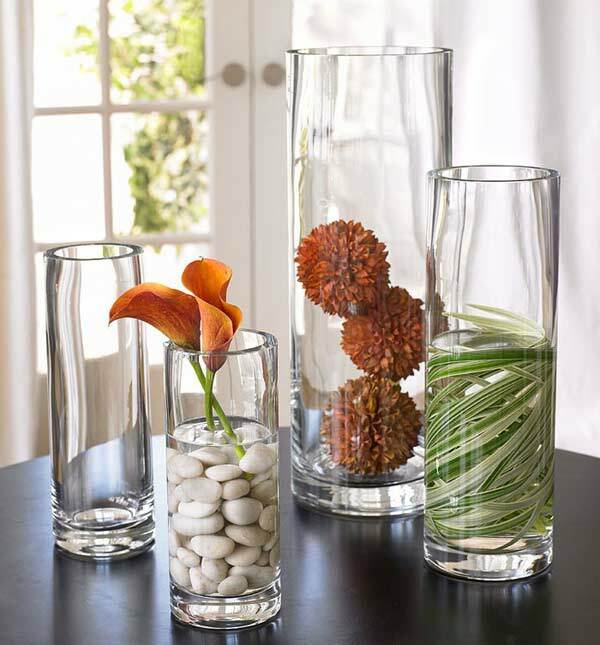 They have many more fabulous ideas…check them out…the simplicity is absolute perfection. 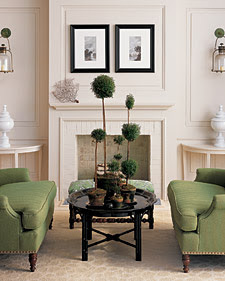 features some gorgeous ideas…here is a sample of what you will find…simple branches just seem to fill the room. 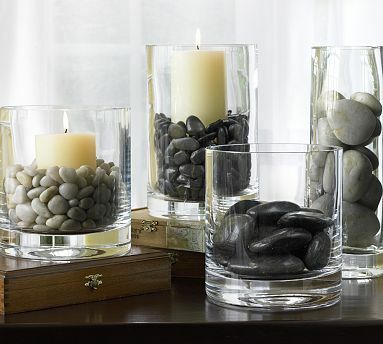 creates some drama with rocks…the black onyx style rocks are stunning! 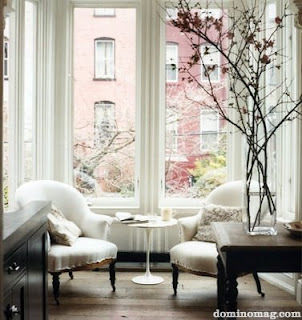 Once again…simplicity and beauty. 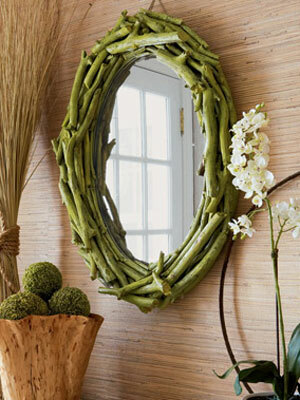 gives this mirror a makeover with twigs…driftwood…garden snips and more. sure knows how to create something from basically nothing…moss and rocks transports you to a babbling brook in your own back yard. 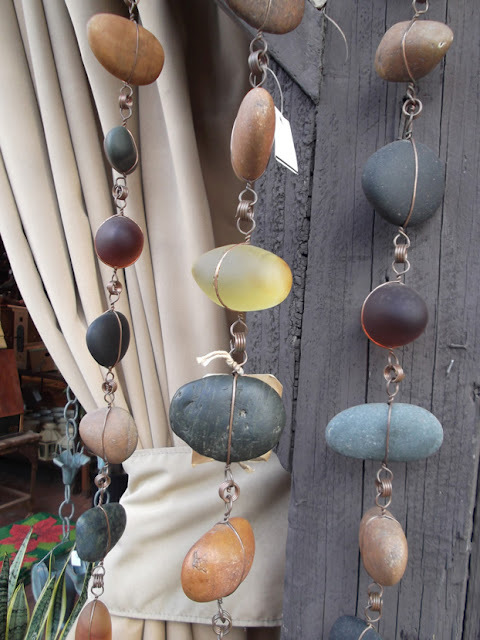 Here is another quirky idea from Martha…check out the post…tons of other Natural Creations! How brilliant is this…just make sure there are no squirrels around. 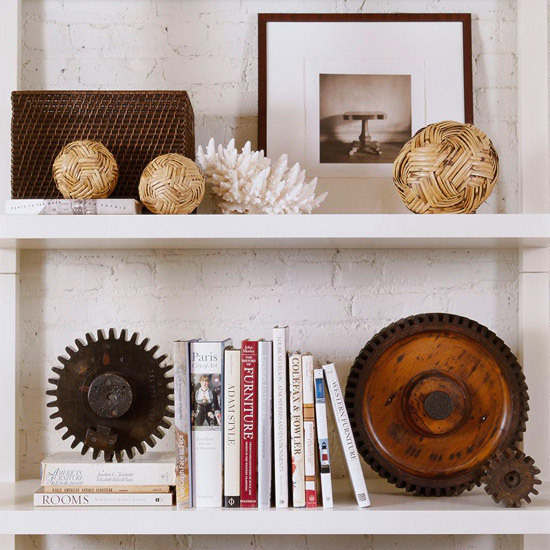 has some fabulous ideas for decorating with natural elements…here are two…check out the rest! gorgeous and there is so much more to see! 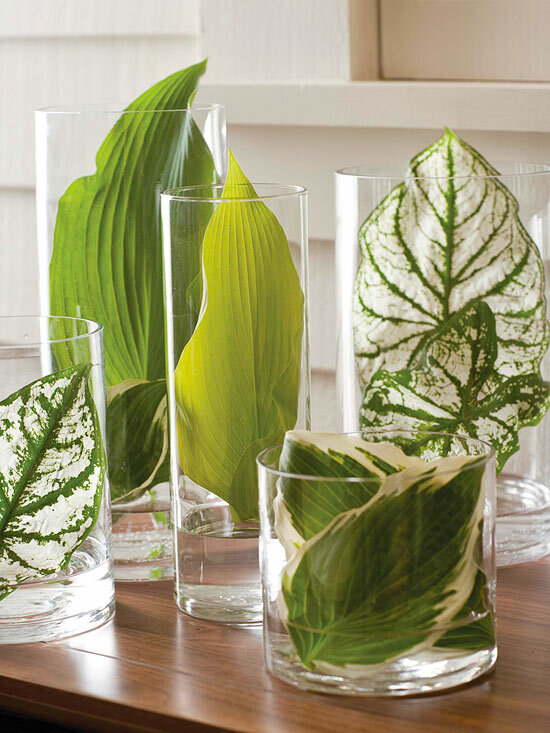 they show us with just a little addition of vines…it can change the whole mood of the room. 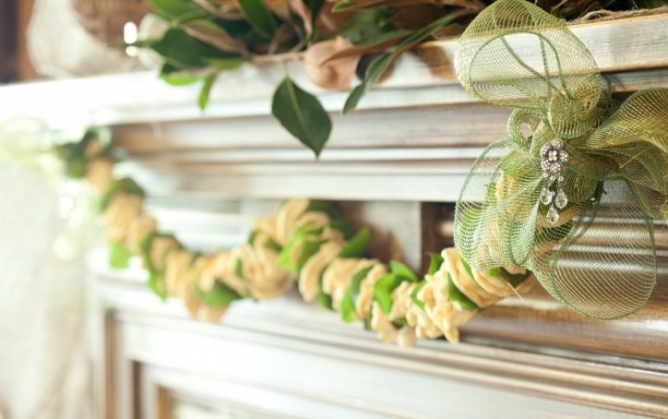 has some fun decorating tips…I know it is not the holidays yet…but I think that this gorgeous apple garland could be used all year round on a mantle…especially with the Fall season coming…just add your own spin. 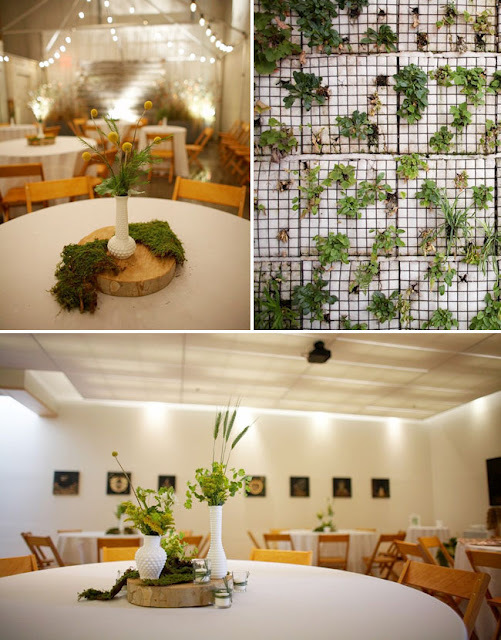 shows us some really wonderful ways to decorate with plants. 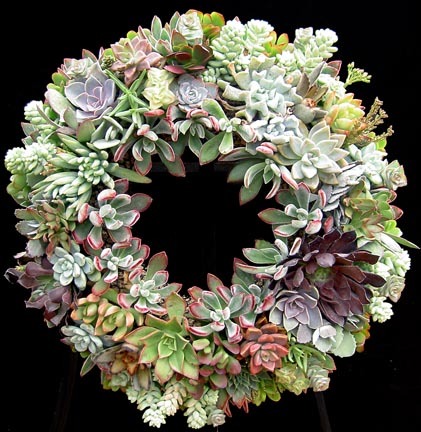 shows us this gorgeous succulent wreath…what room or door wouldn’t be happy with this beauty. 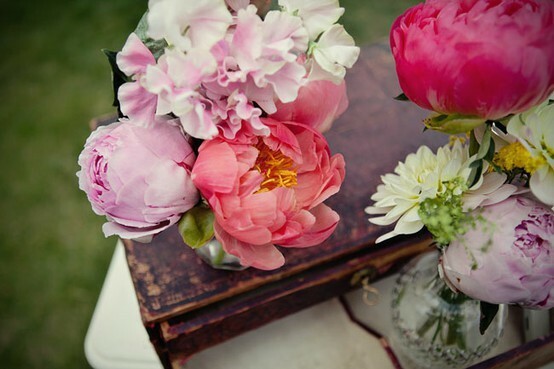 shows us that flowers are always a wonderful idea! 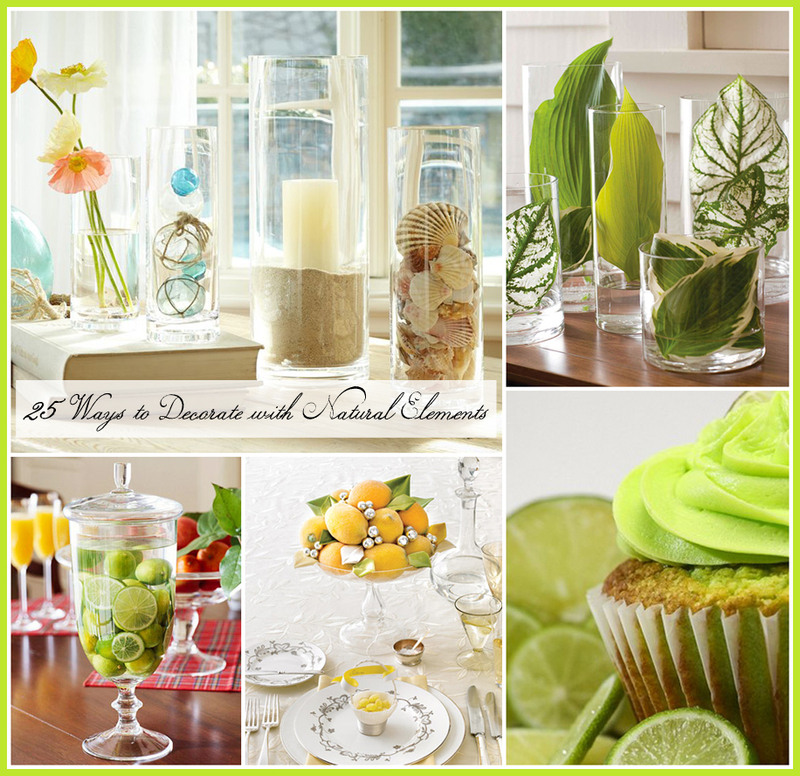 These are just a few ideas to create beauty in your life with Natural Elements…we will revisit this one in more depth soon…hope it brightens your day and most of all gives you major inspiration!!! Lovely ideas in this post. 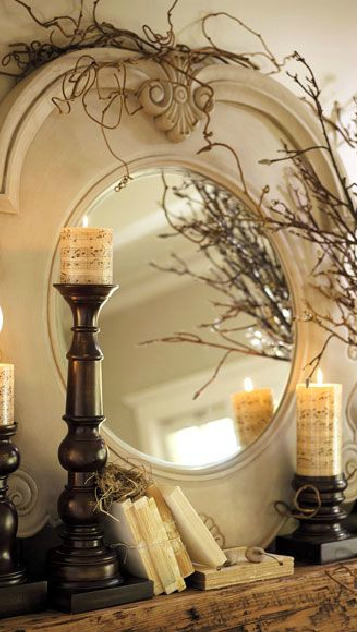 stunning ideas, and the apples filled with votives is such a timeless display! Ooooo these are great! 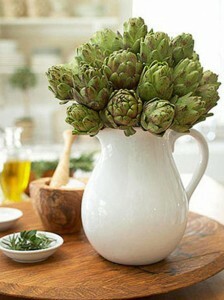 I love the artichoke bouquet and dramatic forced branches in the large vase. 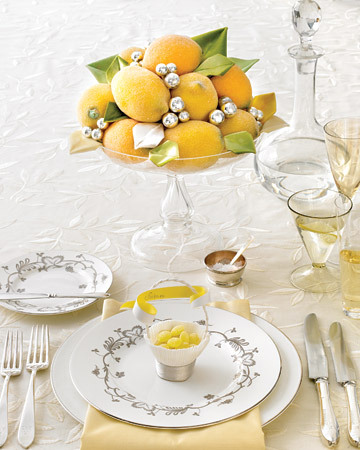 I love the look of decorating with lemons and limes..They are great for brightening up a table.. I love this subject & these ideas. I’ve decorated this way since I had my own space as a little girl. Love it!